1. 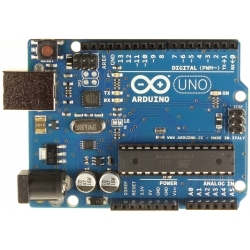 Support for the Arduino IDE 1.0 + (OSX/Windows/Linux). 2. Power via USB or External Source or 7-16 v to 5 v (automatic selection). 3. The On - board, 150 ma 5 v Regulator. 4. Built - in USB and serial was debugging). 5. 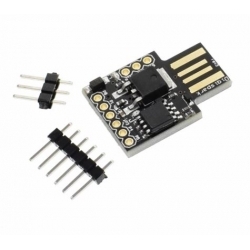 6 I/O Pins (2 are informs the for USB only if your program actively communicates over USB, otherwise you can use all 6 even if you are programming via USB). 6. 8 k Flash Memory (about 6 k after bootloader). 7. The I2C and SPI (vis USI). 9. The ADC on 4 pins. 10. The Power LED and the Test/Status leds. 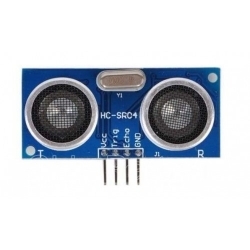 ultrasonic sensor provides an easy method of distance measurement. This sensor is perfect for any number of applications that require you to perform measurements between moving or stationary objects.